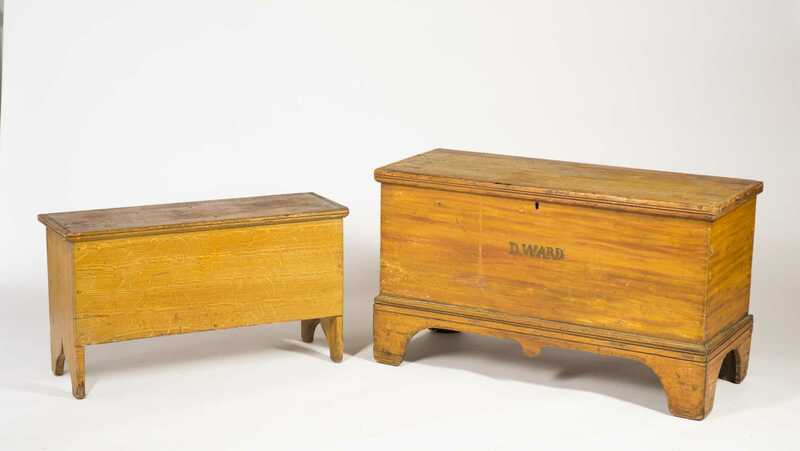 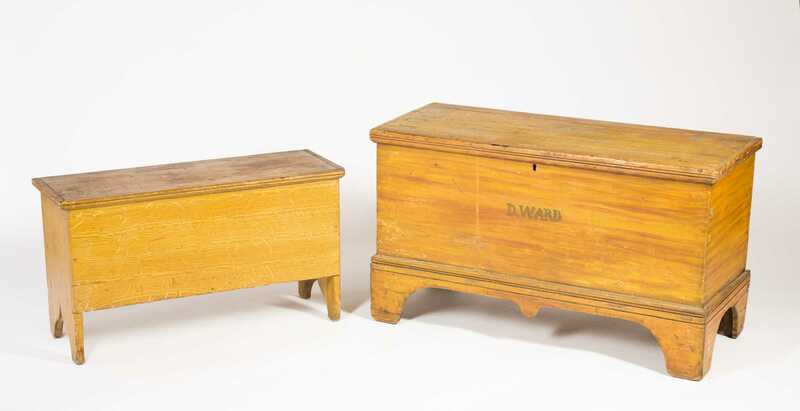 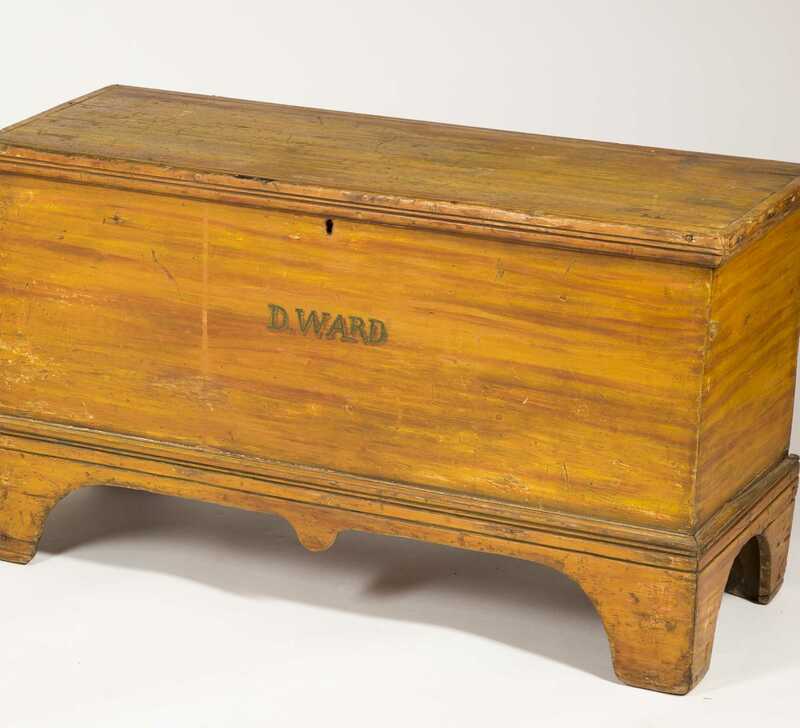 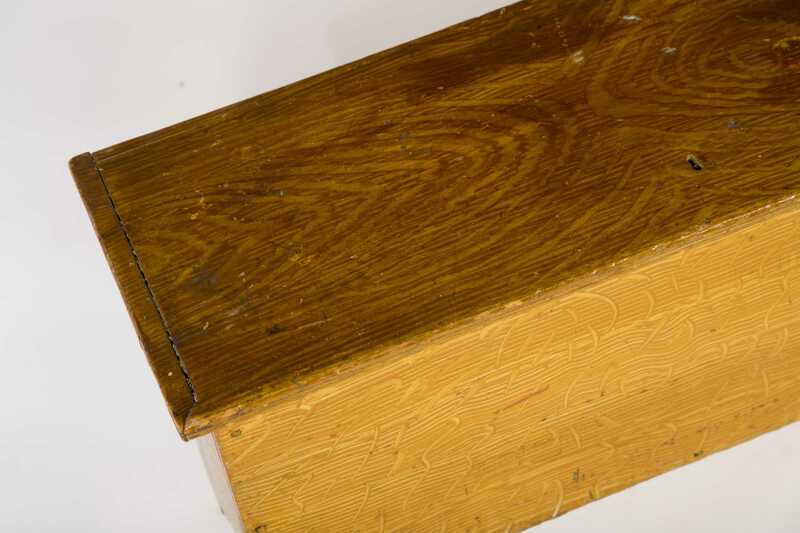 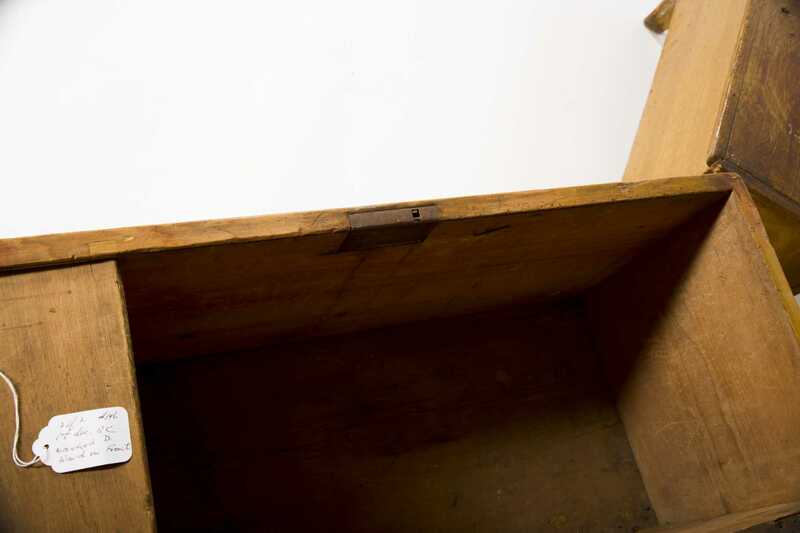 Two Paint Decorated Blanket Chests, A) Small boot jack end lift top with keyhole in the lid having all over oak graining, 30 3/4" x 11 1/2" deep x 11 1/4" tall. 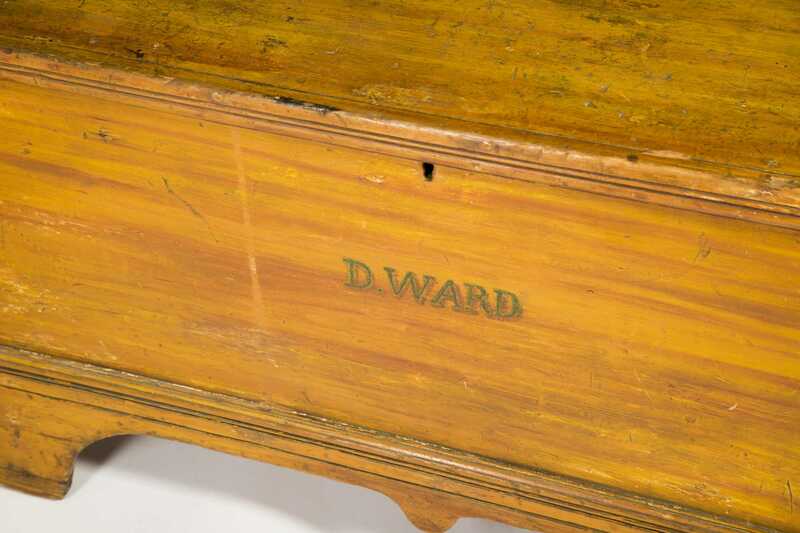 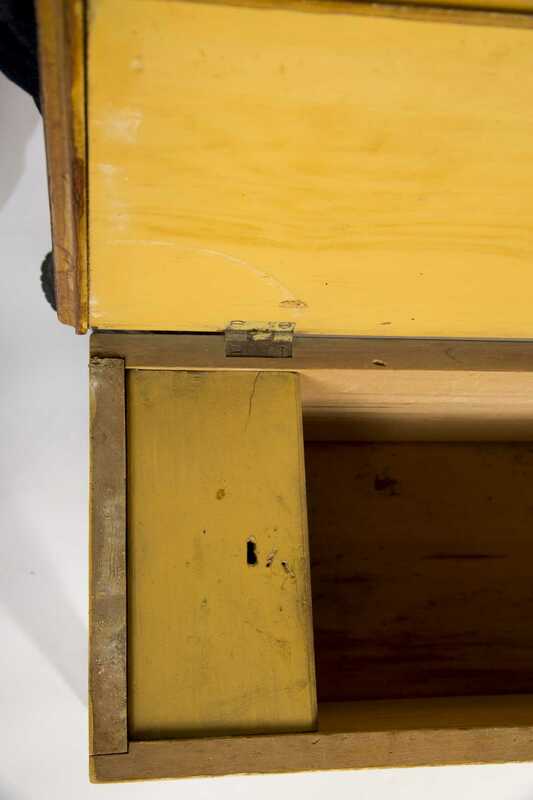 B) Yellow on red grain paint with a painted "D. Ward" on the front panel, an applied bracket base with a central drop, 37 1/2" long x 16 1/4" deep x 21 1/2" tall. Both 18th/19thC American.